Erlang is a computer language and runtime originally created for high-reliability telephony applications. Ericsson created Erlang in the late 1980’s to build Asynchronous Transfer Mode (ATM) switches. These switches made possible the broadband we know today. In fact, British Telecom, a client of Ericsson, reported that the switches attained nine 9's reliability. The Erlang-based system's careful language/runtime design, live upgrades, and interactive inspection of the running system all made this possible. Recently, a resurgence in the use of Erlang is due to its use in Internet-scale distributed systems. In this talk, we'll discuss the motivations behind Erlang, the features that distinguish it from other software platforms, and the ways it simplifies building highly-available globally distributed services. 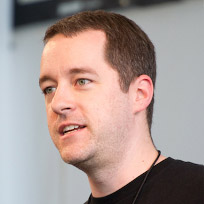 Sean Cribbs is a Senior Software Engineer at Basho. Basho originated from engineers at Akamai which created the first successful content delivery network. Basho’s Riak is a highly scalable, distributed storage system, based on Amazon Dynamo. Riak adds to this integrated search, secondary indexes, MapReduce, data types, and multi-datacenter replication. With Riak, Sean focuses on client interfaces, user experience, libraries, convergent datatypes, and software tools. Sean speaks frequently at conferences on topics of Riak, distributed systems, eventual consistency, and web architecture.